Driven to Write profiles a refugee who made it in the new World. A short round-up of some of the main items of interest that were brought to your attention in the four weeks just past with reference to news, comments and opinions. We adopted Evolution as theme of the month and some interesting things emerged such as a thoughtful contemplation of evolution versus revolution. We also explored Murat Gunak’s interest in certain shapes. 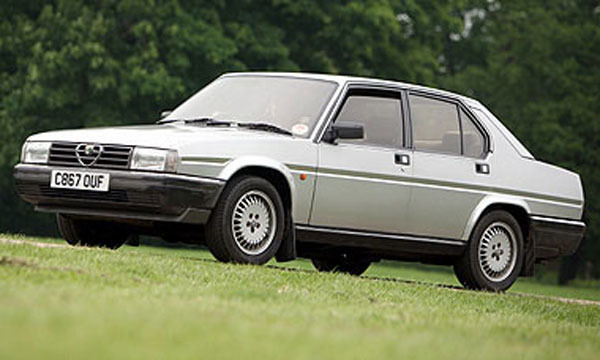 On the news front Alfa Romeo showed us a few pictures of a red sport saloon they may one day make. Luc Donckerwolke has left Bentley and there were discussions of Citroen design and marketing too. DTW has been driving real cars. A Nissan Cube joined the fleet along with a Mazda 3 and we had some mass-market rental fodder out on the road too. Advertising that mentions potential problems draws customers’ attention to them. 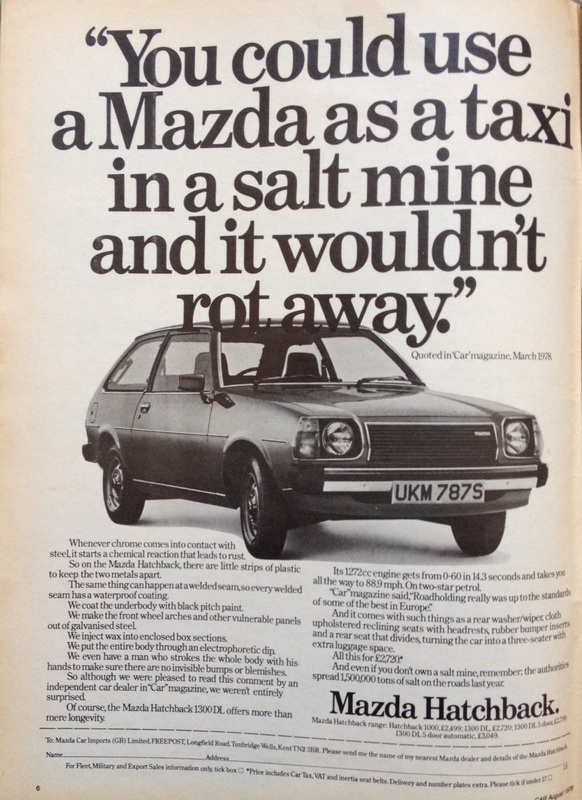 Mazda’s advert from 1973 does just this. And it uses weasel wording too. As I said in the introduction, advertising addresses people’s worries. Just as Rover handled the problem that their 1993 620 saloon was a Honda Accord in tweed (“Above all, it´s a Rover”), this ad from 1978 attacks the common prejudice that Japanese cars were vulnerable to rust. I tried to find one of these cars for sale and found only the precursor to the Mazda 626, the 616 LN. It’s from 1975 and probably the only one left.